She performed with her sister Beyonce at the Coachella music festival in 2018. And this year, just a week before she was due to perform there again as a solo artist, Solange Knowles has canceled her appearance. 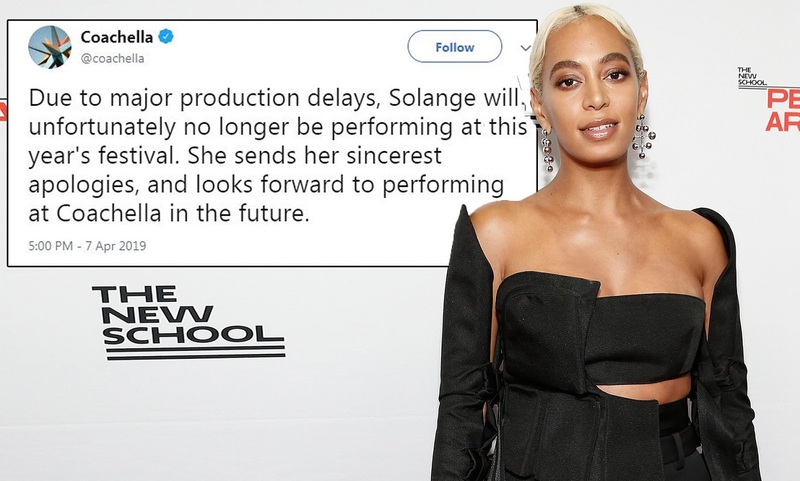 'Due to major production delays, Solange will unfortunately no longer be performing at this year’s festival,' Coachella organizers tweeted Sunday night. 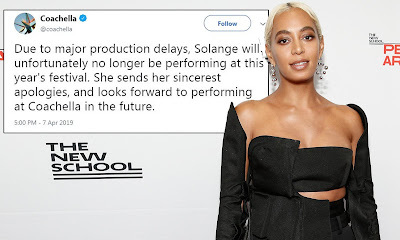 There's been no additional information so far about the exact causes of the cancellation with just days to go and Solange herself has yet to say anything publicly about it. She was set to take the stage this coming Saturday when she was billed to perform a set along with the likes of Kid Cudi, Weezer, Aphex Twin, J Balvin and headliners Tame Impala.